Bali is said to be "the island of the Gods", I would agree with this statement as it makes all its visitors less divine persons than heavenly happy people. 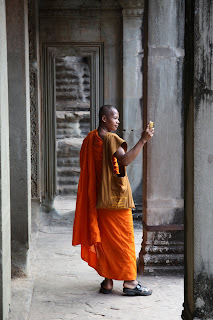 In an island more spiritual than religious, temples are everywhere, under different forms and for different reasons. 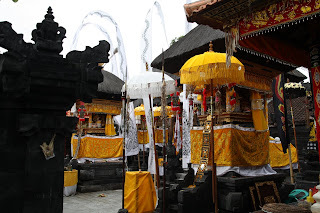 Family temple in the back yard or in the front of the shops, community temple in the center of the villages or historical temple (like Tana Lot Temple for example) in amazing and astonishing place in the island, all have a purpose and a place in the Balinese society. They could be use as one of the nine directional strikes, for life ceremonies (wedding, burial) or just to appease the devils and gods of the island for a prosperous day, all temples have a reason and the daily offers in the small banana leaves square boxes, filled with colorful flower, holy waters and perfumed incense stick are there to reminds each and every visitors that the island had been bless by the gods at every step of the way. Bali has also been touched by the cooking Gods. Most street corners have a local eatering (Warung) where more often locals than tourists mix for a quick snack on a wooden bench. Sharing a meal or sometime even the physical plate is the important time to share stories and relax before re-exploring the island. 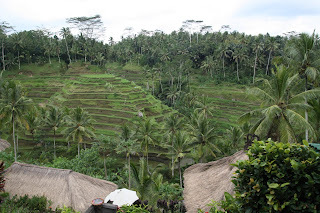 Bali is an Indonesian island surrounded by coral reefs. Beaches in the south tend to have white sand while those in the north and west have black sand due to volcanic activities. 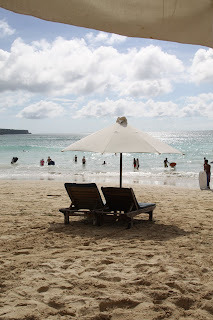 What is surprising in Bali is that depending on what you like doing (snorkeling, sunbathing, surfing) you can always find the right spot for your activity, you just have to go where the elements are setting the stage for your convenience today. Too windy in the West for scuba diving, move to the North; too flat for surfing in the East move to the South. 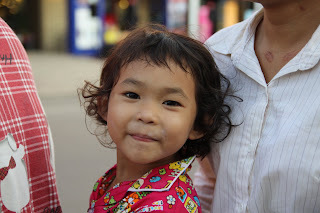 Paradise would not be without smiling faces, and Balinese have been blessed by the smiling Gods. Each and every inhabitants of the island has been graduated from smile school, and the large smiling banana is given for anything and everything: a picture, a hello, a joke. Nothing is good enough for not smiling. The island is also land of multiple seasons all at once: from the cold night at the Mount Agung peaking at 3,142 m, to the 75km of the Ayung River sleeping over the Sea of Bali, the island is giving more opportunities to enjoy life than any long or short vacation could sustain. 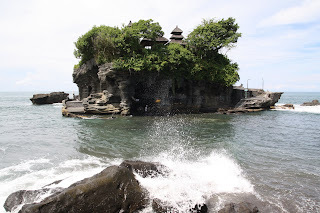 When all is put together into one divine place like Bali, visitor could only enjoy their paradisiacal vacation. Just wondering how would that be to be less of a tourist and more of a local. Bali is truthly the island of all the Gods. 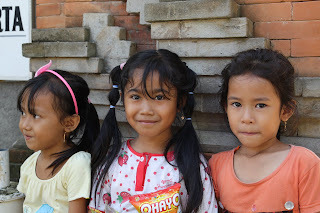 From their website to their warm Goodby farewell, everything is great and unique at Teka-Teki House. The B&B experience is much closer to going to a friend's house than going to any accommodation complex that flourish along the coast. Everything is there to make you feel at ease. 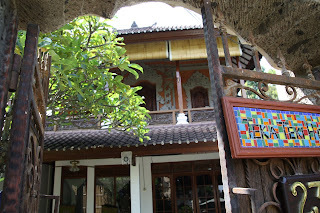 Ideally placed in Seminyak, the house is quiet, clean, friendly, spacious and comfortable. It's one of these secret places to give only to your best friends and tell them to not tell anyone (which of course they immediately spray around). No wonder why Teka-Teki House is rated #1 B&B on TA. The place to sleep at Seminyak for a quiet and friendly vacation, especially if you like banana pancake. US$ rates, US$ service for US$ rooms. Could be an alternative stay in Seminyak if you have of course ......... US$. No need to present it anymore. The missing link between serenity and earth. A detached and distant place from the rest of the island. Must stay ... if you can. 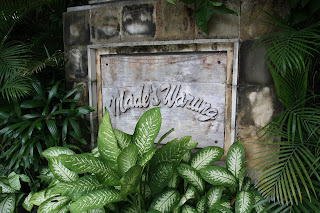 Times is long gone when Made's Warung was a road side eatering. The dirt road has grown to become the shopping highway, so be the place. Established in 1969, it is now a social eating and meeting venue for locals, expats and tourist alike. 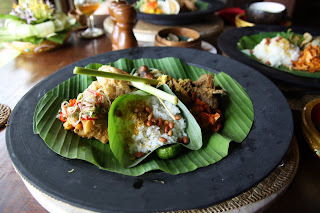 The food is clean, copious and safely prepare for an introductory course to the rich and complex Indonesian food. The few stores around the court yard propose expensive but sophisticated and high quality items for the visitors. Tango demonstrations at night for those who like watching while eating. The now everywhere Cafe Moka is an official institution in the touristy spot of the island, but will still offer the western breakfast and pastries you want to have for a quick start surfing day. 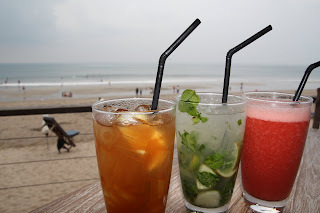 It's quite difficult to choose from the Jimbaran restaurant strip the one to sit from and watch the sunset while having seafood, but Aroma is right at the entrance of the main road and as a formula that works well. Choose the sea food by kilos and the way you want to be it cooked. Few minutes later it will come with some seafood spinach and rice to your table. The local Mariachi, beers, and grilled corn will entertain you if ever been bored. Expensive but safe and efficient. Beautiful people watching other beautiful people. This Easton Ellision place is the epicenter of the watching been watched game, where the white dressed expats and party goers meet the local tribes. Service is as great as the view, but food less important. Bring your sunglasses if you want to be seen. Jl. 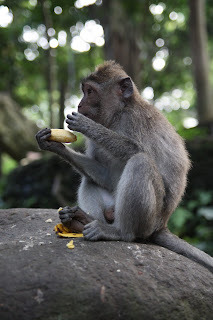 Raya Sanggingan, Ubud, Gianyar - Bali 80571, Indonesia . You only have 4 menu choices: the classic, the vegetarian, the chef's recommendation, and the chef's surprise. No matter which one you choose from the 8 menu course will be a delicacies adventure for your taste bud, mixing common ground yet subtil flavors with intricate local ingredients. You should bring an empty stomach along with your check-book (and credit-card ... and you extra cash) when you stop at Mozaic for a great food experience. One advice thus, book in advance! 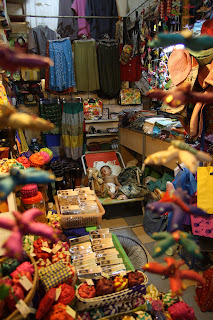 There is countless shops in Bali to satisfied any professional shoppers, even the more advance one. You can shop until you drop on your knees if you want, and the truth of today will not be the one of tomorrow. Now if you engage in a shopping expedition be prepare for a rough battle with blood, sweet and tears (of joy). Vast variety of batik choice with interesting design and pattern. The Jewelry collection is one of the best designed seen in the island. 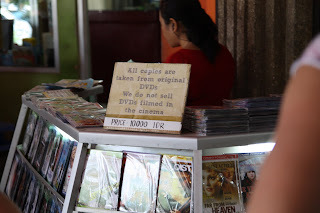 With a couple of spot in the shopping distict, The Bali Antique Shop proposes fine and interesting items at no so interesting price anymore. For rich wallet or enriching experience. You can skip the 3 villages (Wood Carving, Painting, Gold & Silver) where prices are inflated and design locally touristic. Bargaining as well as smiles are mandatory (should be able to divide the price by 3). Neka Gallery in Ubud (Jalan Raya Campuhan , from 9:00AM to 5:00PM. Phone +62 361 975034 | www.nekagallery.com). The gallery was built in 1966 by Mr. Suteja Neka, an art connoisseur and his wife, Mrs. Srimin Suteja in the then small village called Ubud. Still at the same place, the gallery has outgrown the original rooms, but still proposes fantastic paintings from all art works by Balinese artists, Indonesian artists, Asian artists as well as European born artists such as Arie Smit. Their paintings was inspired by natural beauty, people and culture of Bali. A good driver make all the difference between seeing Bali and driving through Bali. 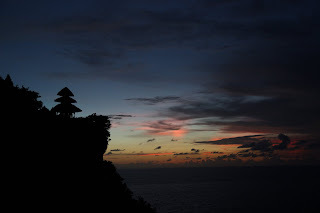 In whichever order you like: Sunset watching, Temples visiting, (Uluwatu & Tanah Lot), Eating, Shopping, Smiling, Sunbathing, Walking, Drinking, Dancing, Sleeping, Resting ... no wonder why Bali is called the island of gods. 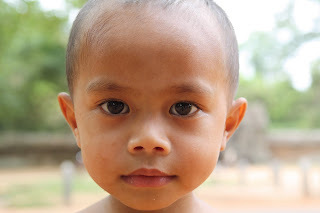 Three years ago, my previous and first visit to Angkor temples left me … speechless. But I was certain of one thing that I would be back and visit this unique place on the planet again. This time, with only one full day in my hands, the visit was organized in a very different way. 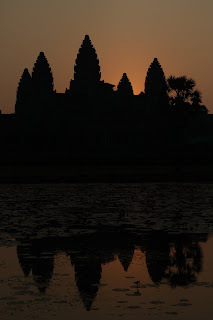 It all started very early in the morning at around 5AM to see the sun rising above the Angkor Wat temple. I bought the entrance ticket the day before to avoid having to line up at the main gate entrance. I was onsite at around 6AM with 1,000 others people ready to photo shoot the main event. Unfortunately the sun rose faster than I expected and the sky did not that sparkling colors that one might have seen in picture poster around the tour operator offices. Nevertheless the spectacle (in the crowd and in the sky) was surprising enough to kick start the day of adventure. Around 7AM when the sun was high enough, I started to linger in the Wat temple, walking up and down the stairs, visiting places quiet and empty with particular lighting above the horizon line. Sometime in the cool shade of the ending night, sometime in the uplifting heat of the early morning, most of the stone carvings started to propose new 3D pictorial effect in which suddenly forms in the long epic painting started to dance, move and change along the sun lights. 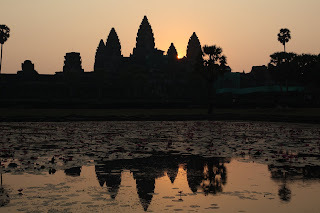 Angkor Wat is the most imposing temple of all by its nature, in the middle of the water with large symmetrical and concentric organization. When I arrived at night the overwhelming feeling that one has when seeing and walking toward the site could not occur (similar effect happen at Taj Mahal as well). Instead after discovering slowly the site in-situ, the eyes are used to the almost human size and undercut the woah effect. But what happened was a different experience, more settle this time where everything was reachable by sight and therefore more details like were revealed. Wat became more familiar to me, although more unpredictable because of the early morning lighting. At its peak around 1,000 AD, Angkor had been the largest pre-industrial city in the world, with an elaborate system of infrastructure connecting an urban population of over 1 million people, sprawl of at least 1,000 square kilometers, equivalent to modern Los Angeles (closest rival is the Mayan city of Tikal in Guatemala with between 100 to 150 square kilometers). 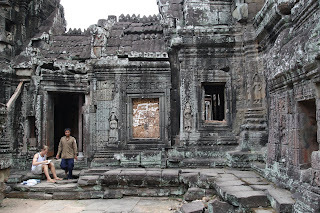 It only last so long before the first tourist buses arrived in the most popular temple of all in Khmer kingdom. Perfect time to move to the next visit. 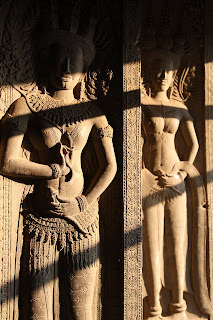 On the other spectrum of the temple experience is the less preserved yet easy access temple of Banteay Kdei. 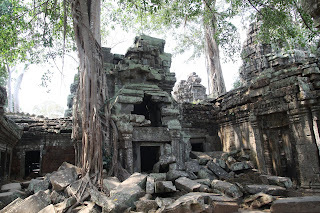 The 12th century Buddhist temple is less complex and smaller in size than sister Ta Prohm, but give a unique sense of what early discovers were facing when encounter a new temple eaten alive by the jungle. Roof on the floor, stone carving destroyed by the centuries of collectors and ideologists, and trees growing inside walls. Still some colors have been preserved and one can imagine how amazing would have been a solid and colorful temple at the time. Out of the majors temples restricted and preserved mostly by foreign institutions, Angkor temples are the refuge for local people. It’s quite common to see a line up of sellers and other gifts merchant at the entrance of different site, but most surprisingly is to find a shave head widow or a young boy guarding, cleaning and taking care of the main statue of the temple. Part of no official organizations the guardian of the temples just stay there days in and days out, and in exchange for a couple of dimes explain you the good luck praying ritual. My last visit, I followed a young girl across the corridors and she shown me a Vishnu statue defended by a widow, this time the young girl moved to another destiny, leaving behind Vishnu and his widow. The second most emblematic temple is Ta Prohm, more well know for its movie-picture artifacts in Tom Raider than for its architecture. 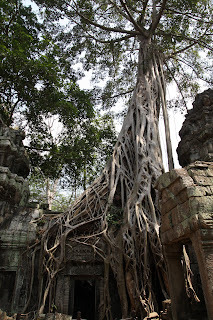 The trees growing out of the ruins are perhaps the most distinctive feature of Ta Prohm, and the newly restored part of the temple by the India government is a delight for the eyes and the cameras. Small corridors, wooden path, and other centennial trees make this place a must see temple with a camera in hands. The large trees that shoot from the ruins and the tropical forest near by make the site shadow, and give lines of lights and darkness to perfect picture taking. Ta Prohm is design to become the new star of the Angkor temples visit, and frankly I could not argue more (no sign of Brangelina). 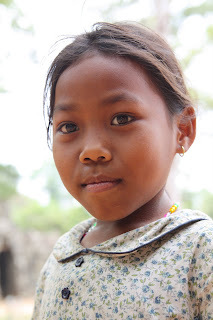 A last stop at the capital Angkor Thom was the perfect ending of temple visit. 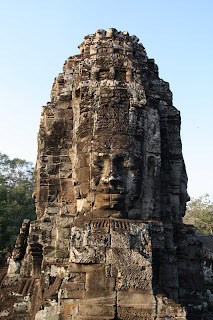 The Bayon's most unique attribute is the large multitude stone faces. The temple is also known for two sets of stone carving bas-reliefs, which present an unusual combination of mythological, historical, and mundane scenes, and it was a great place to watch the sun setting among the different 4-faces head. After four showers and four shirts (personal record), walked from sunrise to sunset, and filled a 4Gb memory card of pictures, I was templed-out and needed a well deserved meal at Meric. 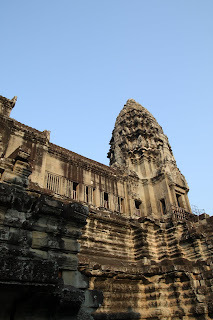 Never to say, Angkor temples are impressive to visit and like few others place in the world is the perfect witness across time that no matter how strong and imposing a civilization is at its peak (Inca, Mayan,…) nature can take over and eat it alive. So could be ours. 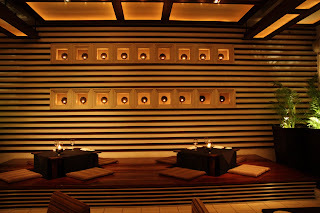 The centrally located Sokha Hotel is a luxurious 5 stars in the middle of the city. As soon as you step out of the chaos of the main roads, the hotel offer quiet and piece after a day of excursion. Pleasant staff will give you all the adequate services you wish for. One interesting point is that the hotel is part of the industrial group that manages the temples, and can sell you passes in advance. Food see next section. This is the ONLY restaurant you should go to in Siem Reap (breakfast, lunch and dinner). The service is as good as the atmosphere, and a quick pick at the open kitchen will tell you that Kmer cooking can easily yet imaginatively be integrated with French classic food delicacies. Everything is a must on the menu and after a long day of temple visit a refreshing towel is a great opening for a night of enjoyment. A small boutique that offers a large variety of jeweleries and local artifacts for your gifts at home. The gift shop has a wide variety of cultural items including jewelery, handbags and purses, stone, silk, wood and silver artwork and souvenirs plus some period photographs and prints for guest and non guest to enjoy. A nice stop over to dinner. In front of a french library lays a 2 storeys Gallery in a house. The photos exhibition are always interesting to see and it should be a good stop over on your way to the old market. This is the place to do your gift shopping, nowhere else. Take your time and bargain hard you will be surprise by the patience and interesting items you might be presented to.